This summer join fans nationwide to celebrate Sailor Moon when Fathom Events and Viz Media bring the classic anime's third movie SAILOR MOON SUPERS- THE MOVIE along with never-before seen in theaters short, "Ami's First Love" to movie theatres for two nights on August 4 and 6. SAILOR MOON SUPERS- THE MOVIE was released in Japan in 1995 and was directed by Hiroki Shibata and animated by Toei Animation. 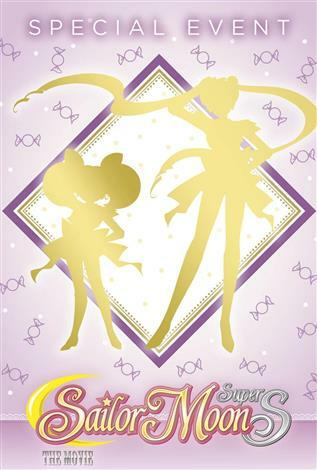 It is the third and final film in the Sailor Moon series created by Takeuchi. All features are presented uncut and true to the original Japanese version, with English Subtitles.